Located in Downtown St. Paul, this historic hotel is within a 15-minute walk of Minneapolis Museum of Art and Landmark Center. RiverCentre and Xcel Energy Center are also within 1 mi (2 km). Saint Paul Union Depot is only a 2-minute walk. 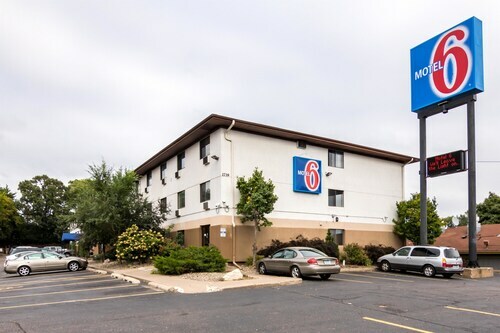 Located in the heart of St. Paul, this hotel is within a 5-minute walk of Mississippi National River and Recreation Area, Xcel Energy Center, and RiverCentre. Science Museum of Minnesota and Landmark Center are also within 10 minutes. Saint Paul Union Depot is 21 minutes by foot. This 17-story hotel is connected by skywalk to various shops, restaurants, and entertainment venues. Downtown Minneapolis and the Mall of America are within 13 miles. Situated in St. Paul, this hotel is 1.9 mi (3.1 km) from Indian Mounds Park and within 6 mi (10 km) of Xcel Energy Center and RiverCentre. Maplewood Mall and Landmark Center are also within 6 mi (10 km). 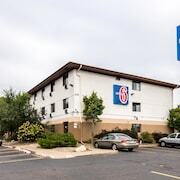 Situated near the airport, this hotel is 1.3 mi (2.1 km) from Como Park Zoo and Conservatory and within 6 mi (10 km) of Xcel Energy Center and University of Minnesota-Minneapolis. U.S. Bank Stadium and Minneapolis Convention Center are also within 9 mi (15 km). This St Paul hotel is within a mile of the Saint Paul RiverCentre, the Xcel Energy Center, and the Minnesota State Capitol. How Much is a Hotel Room in St. Paul? 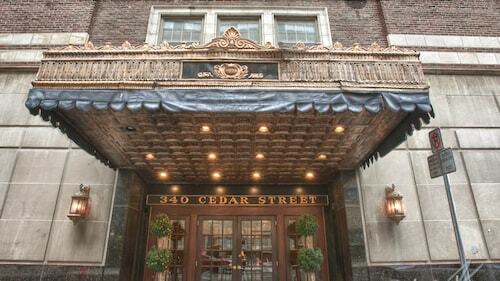 Hotels in St. Paul start at $45 per night. Prices and availability subject to change. Additional terms may apply. There’s a name sitting on everyone’s lips these days, and it’s “St. Paul." Once thought of as a frozen city in Minnesota, this impressive town has started to take the crown on numerous “Best Places to Visit" lists. There’s something almost nostalgic about St. Paul— like the feeling of coming home after a long trip. Maybe it’s the Victorian brick homes, café patios, or lazy river boat tours. Or maybe it’s the people, who are quick to tell you where to find the best craft beer in the city. Whatever it is about St. Paul, you have to explore it for yourself. 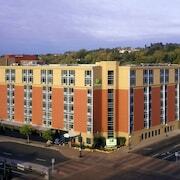 Book your pick of hotels in St. Paul, MN and get acquainted with the easy-going town. Need a starting point for your vacation? Pick up a St. Paul, MN car rental and head to Summit Avenue, where you’ll find the largest collection of Victorian buildings in America. The view is especially enchanting if you’re visiting in autumn, when the crashing colors of red and gold create envy-inducing photographs. Another lovely spot in town? The Como Park Conservatory. It was built in 1915 and features an intricate glass dome over rows of bright flowers. And if your favorite color is the shade of a pale ale, St. Paul has you covered. There’s a legion of local breweries throughout the city. Just be sure to choose a cheap hotel in St. Paul close to the pubs, so you can walk back to the lobby after a pint with the locals. 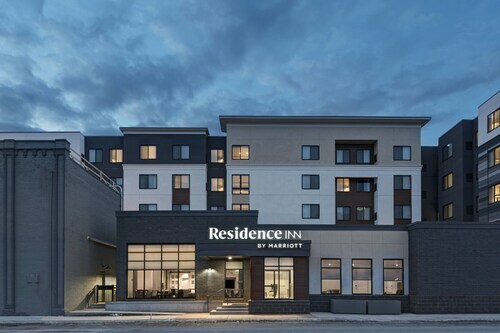 When you’re ready to wander to a place filled with good brews and a feeling of home, head to Minnesota, and count on Travelocity to connect you with the best deals on St. Paul hotels. And if you want to extend your trip and see more of the Twin Cities, we can also help you with discounts on a hotel in Minneapolis. See you here. Overall very nice. Parking lot is tint for a largish hotel. Parking fee is $20. The taxes and parking are expensive. Loved the location being so close to the Excel center. $317 is a little more than I want to pay for one night. Location is excellent. Bathrooms need remodeling, esp. toilets which are unbelievably LOW!! Summit Hill Charming Home in St. Paul's Historic Neighborhood- Walk Everywhere!